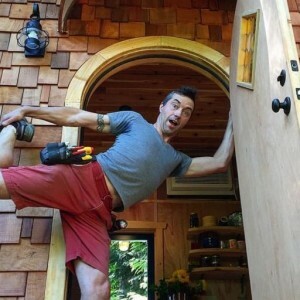 Eric Elliot’s lease was up and his rent was being doubled, and if that’s not tiny house time we don’t know what would be! 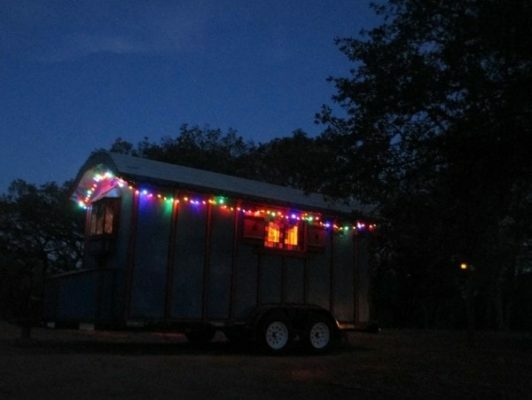 Eric didn’t either, and immediately set to work making sure he’d never have to pay rent again. 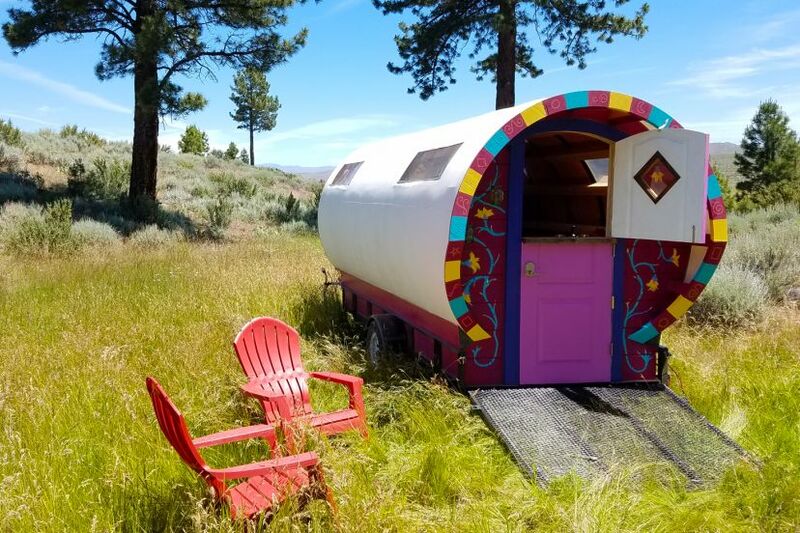 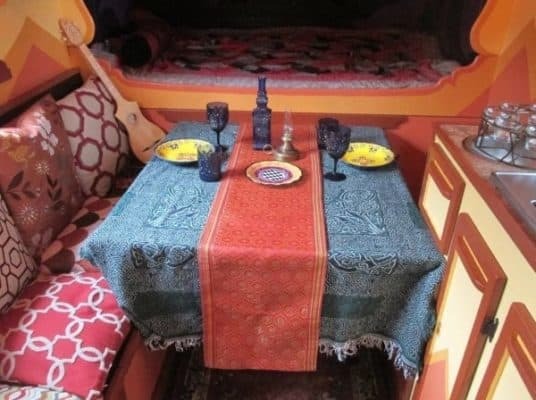 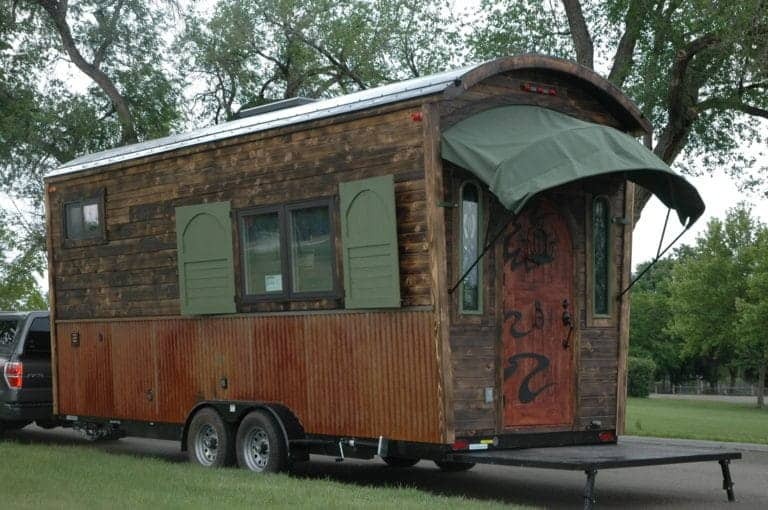 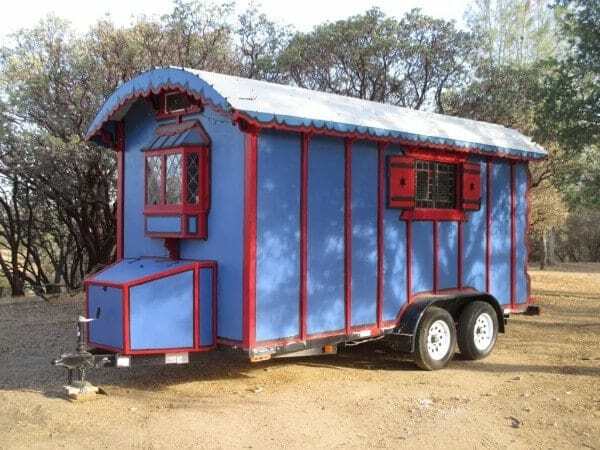 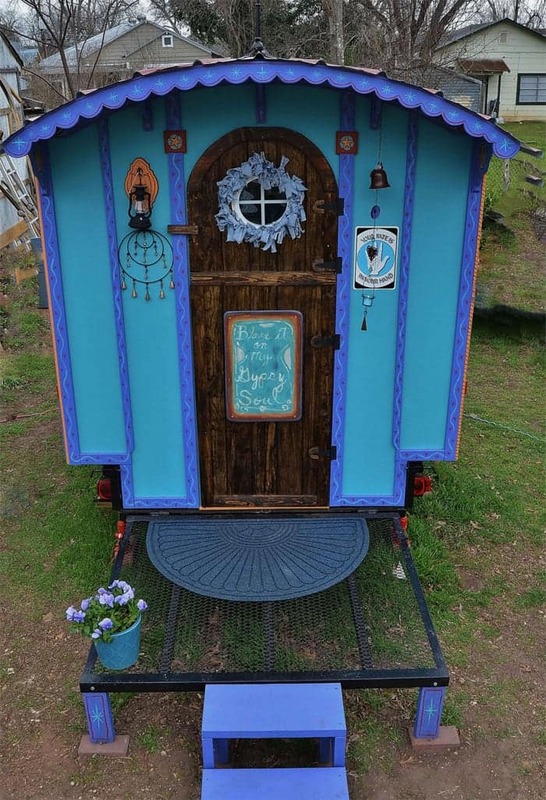 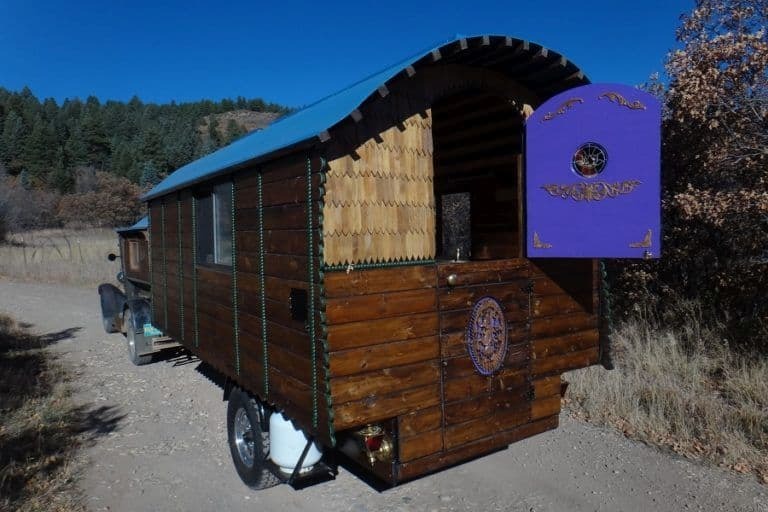 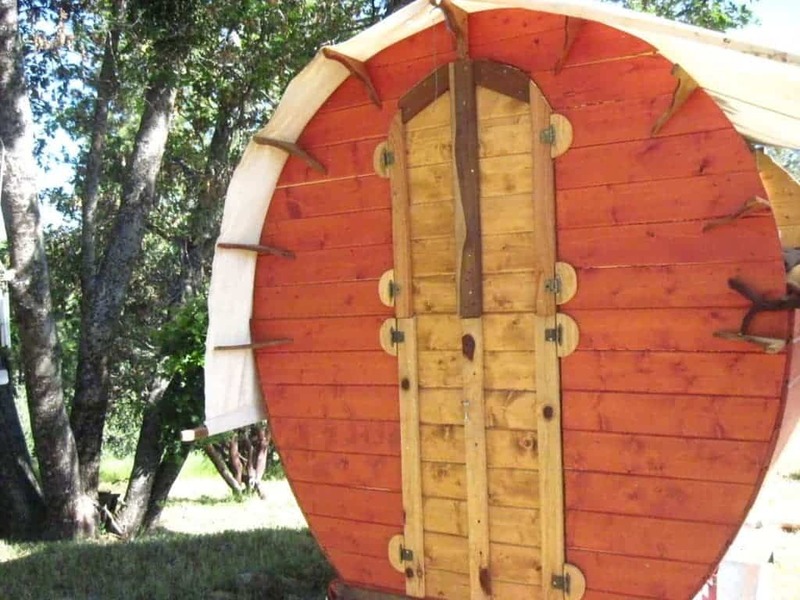 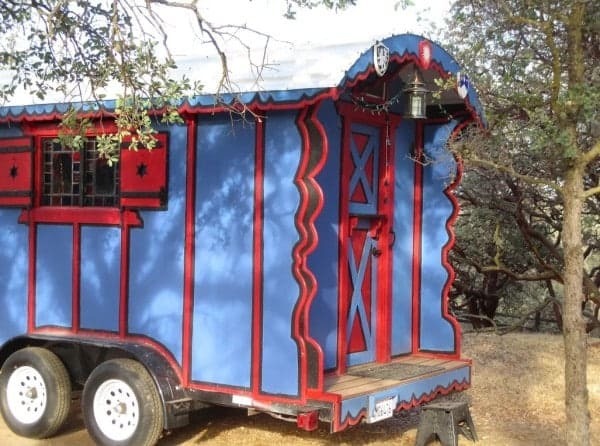 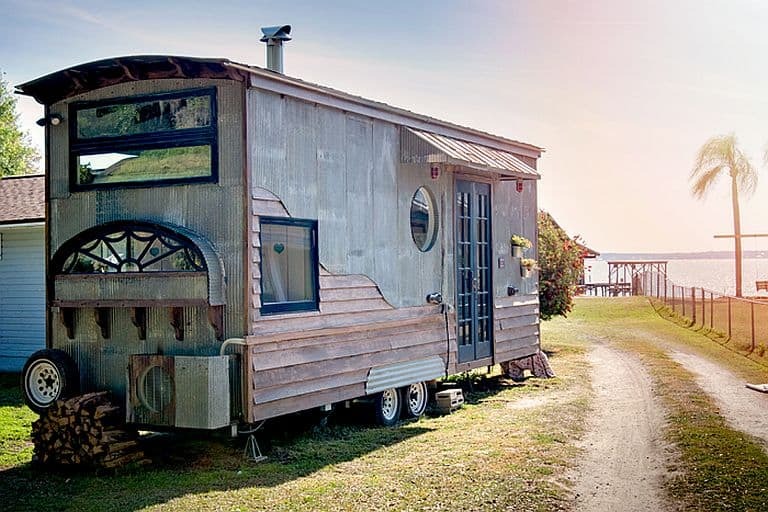 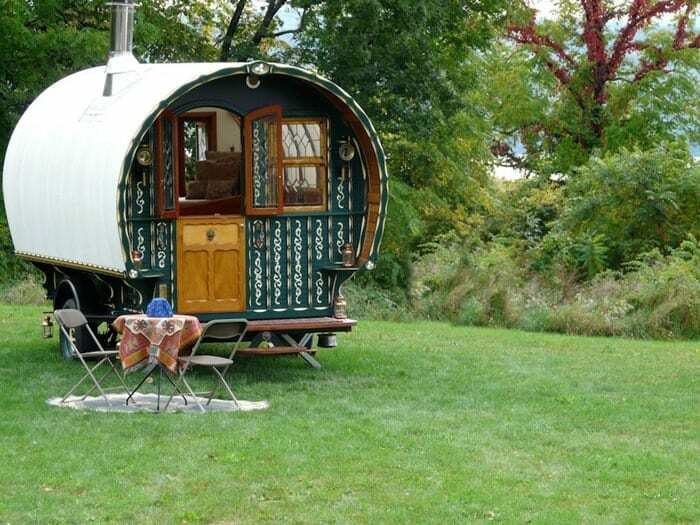 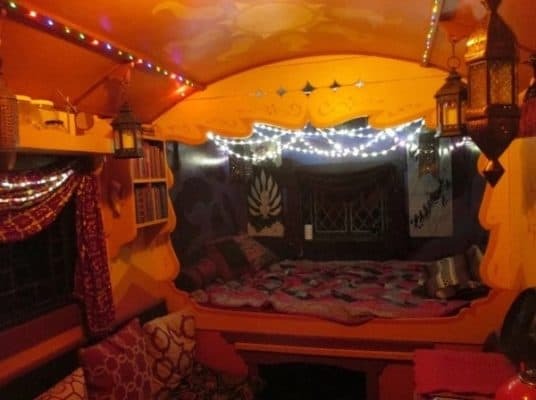 He’s single, so he didn’t need a whole lot of space, and he wanted something interesting; a gypsy wagon seemed to fit the bill perfectly. 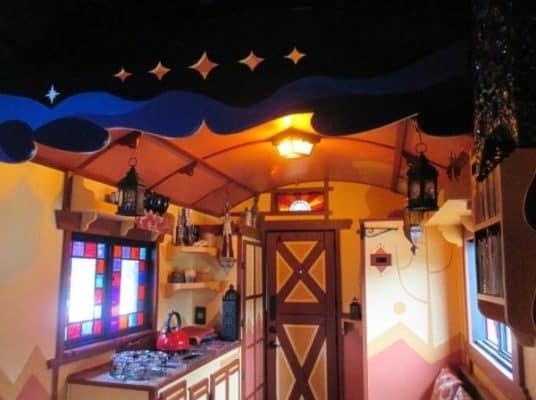 He started off with a model, which convinced him that simplicity of construction (as opposed to simplicity of appearance) wasn’t a bad thing – no complicated outward canting walls for him, and no loft. 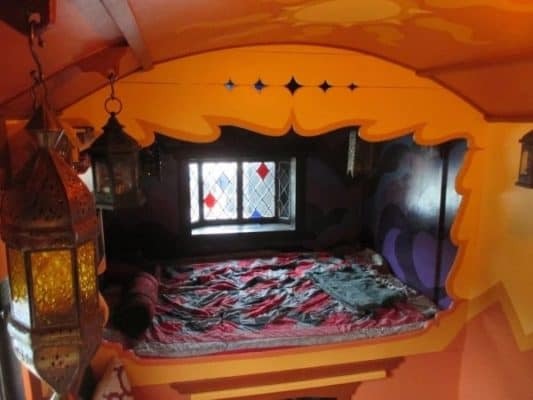 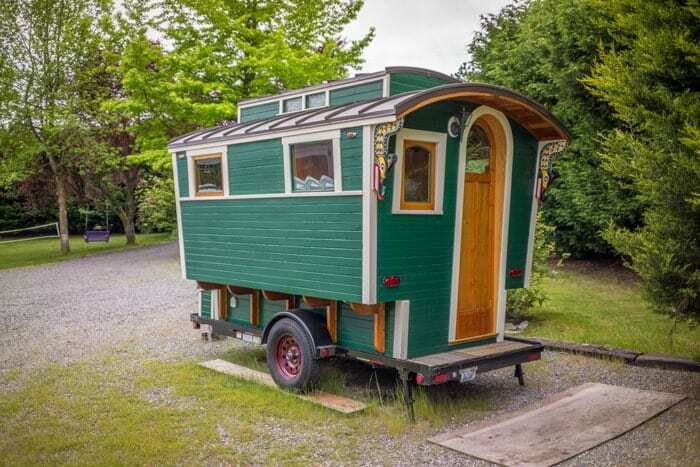 In one hundred square feet he managed to fit a bed, bench, kitchenette and shower room. 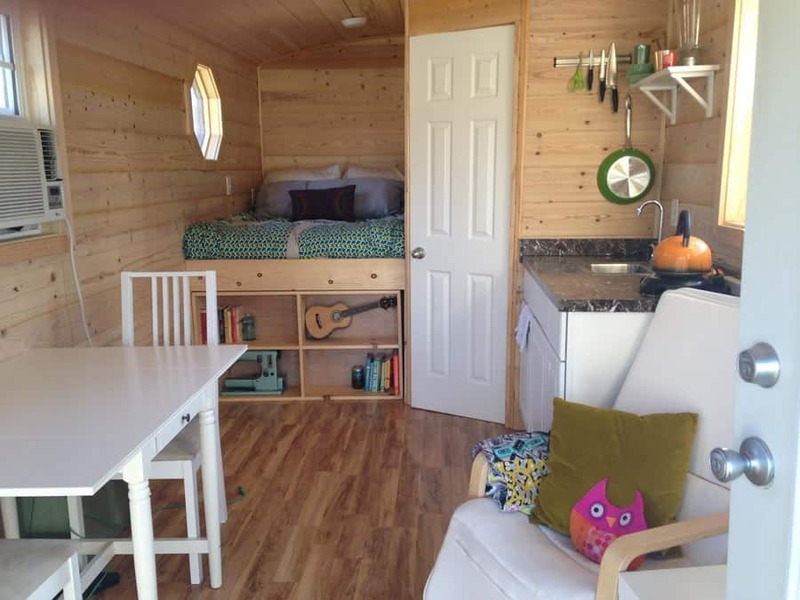 The dining table pulls out from under the bed, and the composting toilet pulls out from under the bench (as noted, Eric lives alone). 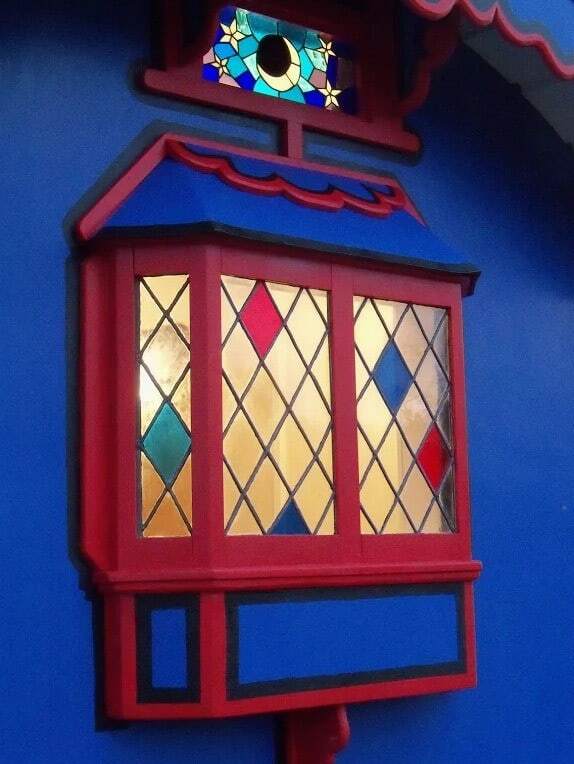 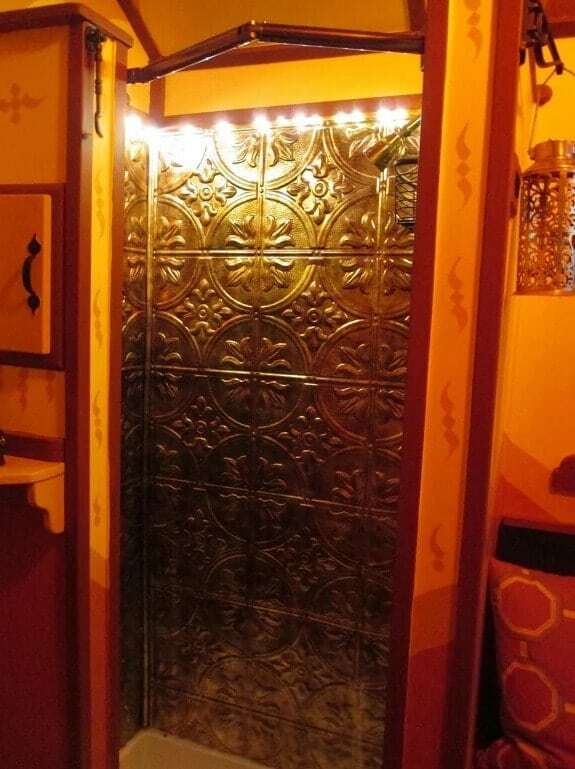 He included many artistic touches, such as stained glass windows and faux hammered tin walls for the shower, but since he salvaged as much as he could he managed to complete the project for around $7,000. 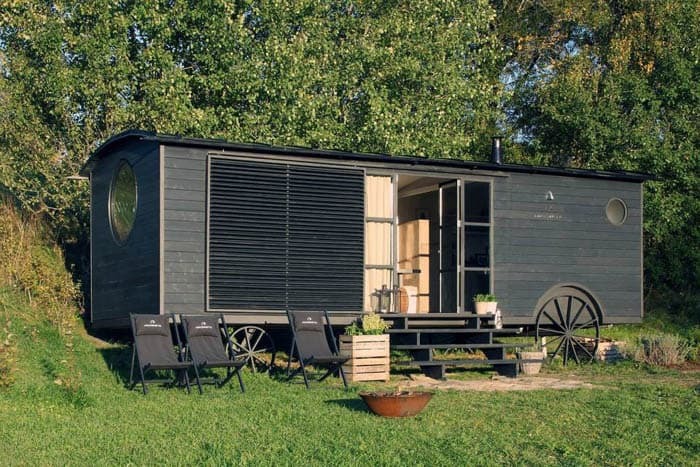 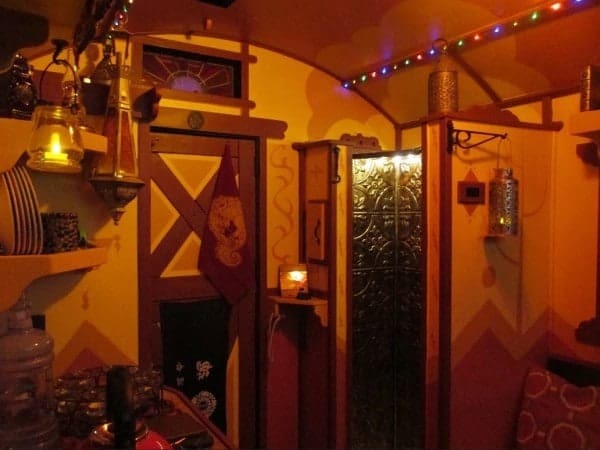 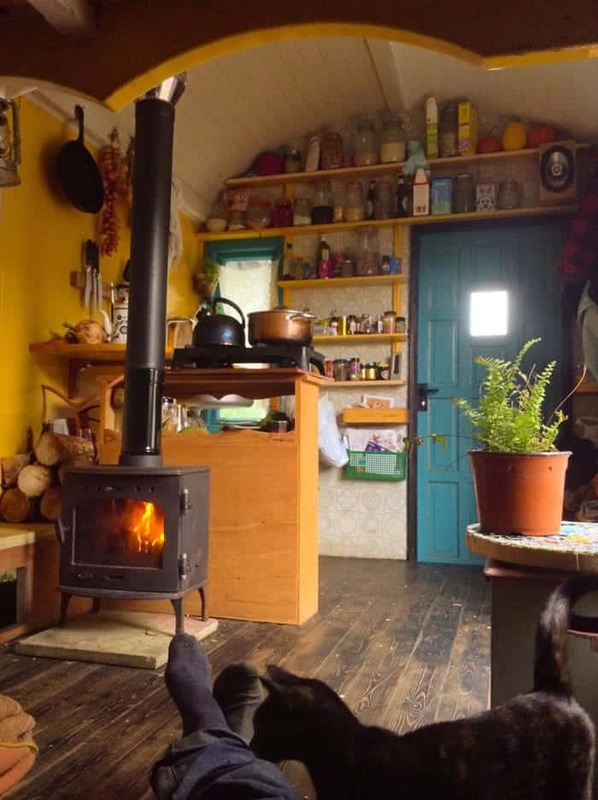 One of his biggest expenses was high-grade insulation for the walls, roof, and floor, and he says that the increased year-round livability of his wagon makes that money very well spent.